Not sure which size to buy? 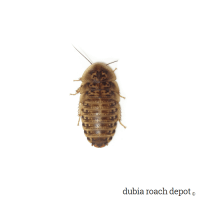 Try a Dubia roach size sampler! You get 10 Dubia nymphs in two consecutive sizes of your choosing, for a total of 20 roaches. 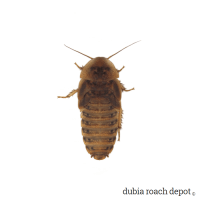 Our Dubia Roach Size Sampler allows you to experiment with a small number of roaches. Each Size Sampler contains 20 Dubia roach nymphs – 10 from each of two consecutive sizes of your choosing. They’re a good way to figure out what size works best for your animal. Maybe you’re unsure whether or not your gecko or newborn chameleon can handle ¼-inch nymphs, or if it’s still too small for anything larger than Minis. Try the Mini and ¼-inch Size Sampler and see! Or, maybe you have a medium-size bearded dragon that you want to feed the largest nymphs it can handle. Order the 1 inch and 1-¼-inch Size Sampler and test them both! 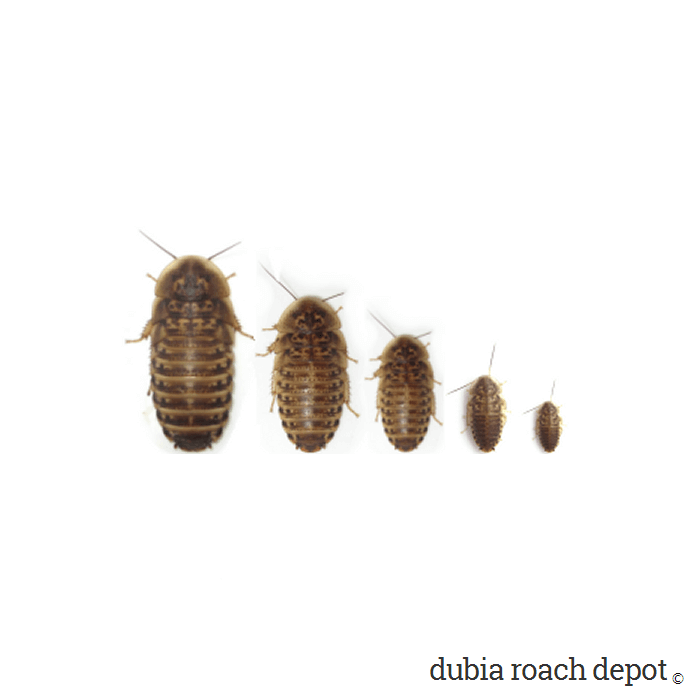 Whatever your situation, there’s a Dubia Roach Size Sampler made just for you! Or, you may be unfamiliar with our sizing. We do our best to accurately and consistently size our Dubia, but this can be tricky for a number of reasons. On top of that, different sellers have different measurement methods that yield different results. Due to inconsistent methods, ½-inch nymphs from one company, for example, can be a different size than ½-inch nymphs from another. A Dubia Roach Size Sampler is a good way to see for yourself how we do our sizing. Of course, Samplers are available for every consecutive nymph size. NOTE: With a Size Sampler, you may naturally end up with some roaches that are the wrong proportion for your animal. When choosing a package, consider erring on the side of “too small”. This way, you can grow out the roaches that aren’t a good fit for your animal over the next few weeks or month. Buying them too small allows you to fatten them up and feed them off slowly without dealing with waste. 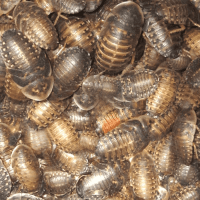 If you buy Dubia that are too large, you can’t go backward and they will always be too large unless (a) your animal grows really fast or (b) you withhold food from the roaches. The latter option can work sometimes, as it leads to considerable length and height shrinkage. Keeping Dubia at room temperature can substantially slow their growth, so this might be something to consider as well. *Quantity is limited to one per customer.